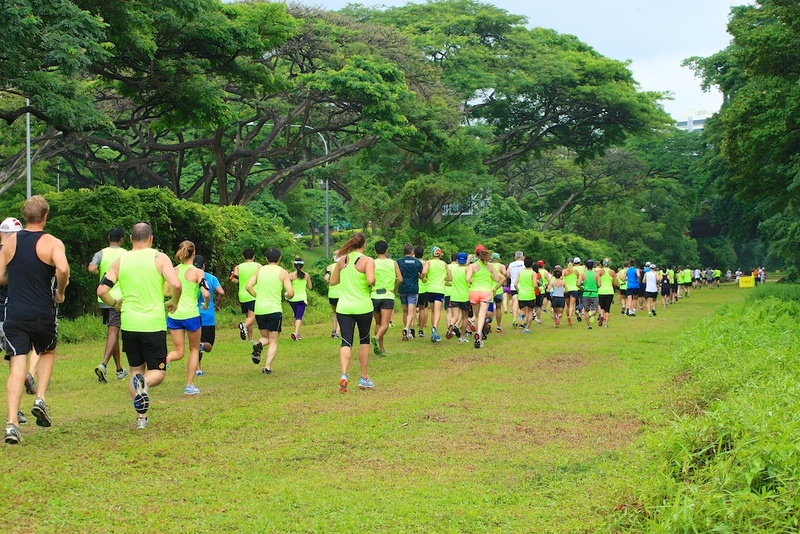 The Green Corridor route in Singapore, a beautiful nature trail running through Singapore’s heartlands and some of Singapore’s natural greenery from the Southern tip of Singapore at Tanjong Pagar towards the Northern part of Singapore around the Woodlands region. The Green Corridor as some of us would affectionately know, is also known as the Rail Corridor, given her former roots and history of the former KTM train services running on the railway track from Tanjong Pagar KTM Railway Station to Bukit Timah KTM Railway Station and Woodlands Checkpoint before crossing over to Malaysia. The Green Corridor Run 2014, a unique trail run that starts from Tanjong Pagar Railway Station to Bukit Timah Railway Station, over a distance of 10.5km surrounded by the natural green environment and the Singapore heartlands. 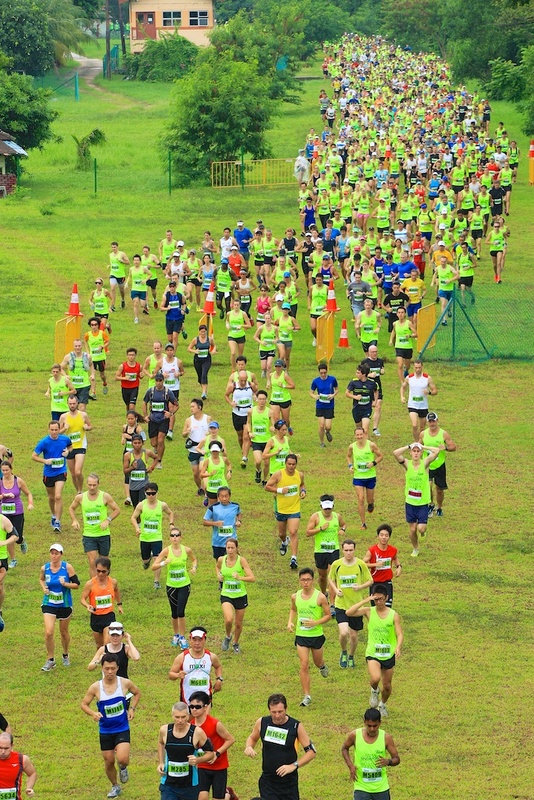 In their 2nd year, it was great to see a great turnout of runners running in the Green Corridor running singlet and the runners blend themselves beautifully with the beautiful greenery of the Green Corridor/Rail Corridor. 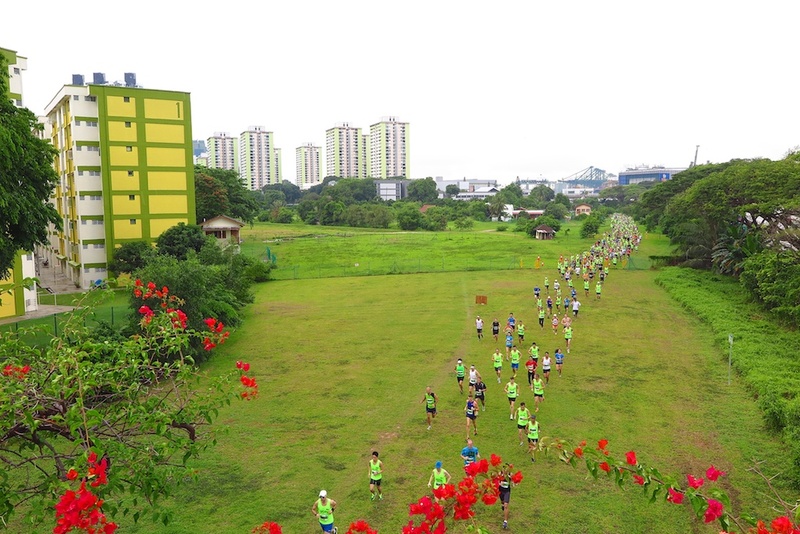 I was at the Kampung Bahru Road flyover and photographed the first and second wave of Green Corridor Run runners running out from the Tanjong Pagar Railway Station area and it was a nice sea of green runners among the greenery! The weather during the Green Corridor Run 2014 was very wet and kudos to the runners for completing the run in very wet and muddy conditions! 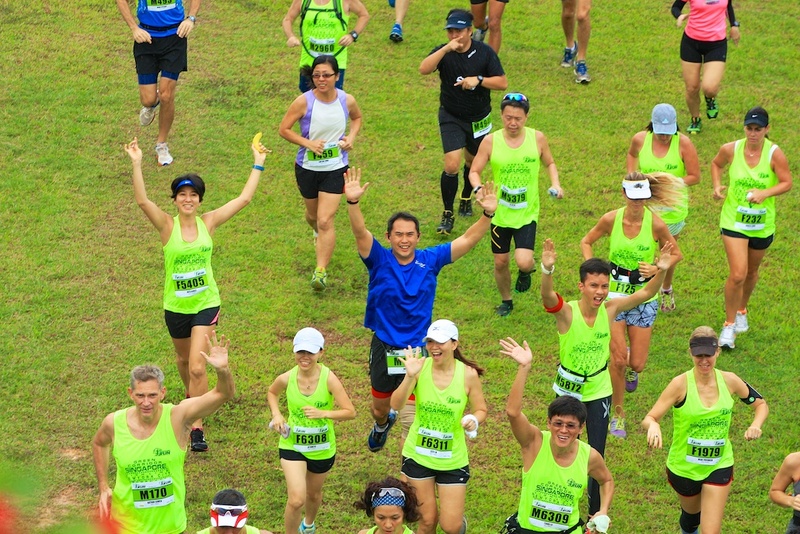 I wasn’t able to cover the Green Corridor Run 2014 from the Tanjong Pagar towards the end point at Bukit Timah Railway Station due to a clash of schedules, like what I did in the Green Corridor Run 2013. However, I hope that my small contribution in sharing about the Green Corridor Run 2014 and some photographs from the Green Corridor Run 2014 would encourage future Green Corridor runners to join! I also hope that more people would continue to love and explore our Green Corridor/Rail Corridor for leisure and recreational activities, along with the history and culture of the KTM Railway operations in Singapore. I personally feel that the Green Corridor Run is great and suits the Green Corridor perfectly! Let’s keep the Green Corridor Run going in the years ahead and beyond! Let’s keep the Green Corridor status quo and an area for outdoor recreation, fun, healthy living and leisure activities!